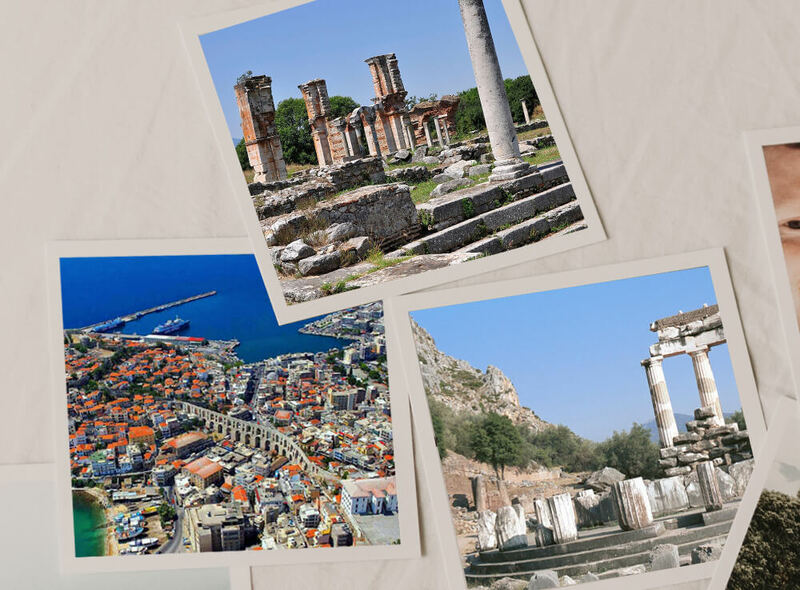 The following 11th days tour is organized in terms of a seminar for guest with high interest in Minoan civilization and demands for further information. Due to difficulties of accessing the site, all efforts will be made to arrange the visits in the archaeological sites mentioned. In addition we will try to include more Minoan highlights, so our guests will see as much as possible. The group size can be 6 participants (in a mini van), up to 16 participants in a mini bus, or 17 to 42 in a normal bus. Material, such as plans and maps of the sites and cities will be provided. The program will be organized by our travel agency and an experienced guide / archaeologist will be responsible for the seminar and lectures in the sites. All entrance fees will be included, water per person and the lunch stops for all participants. Contact us for further information. We can customize the round trip to your needs. 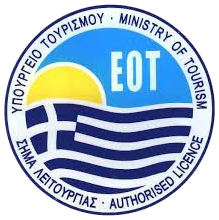 (We can exclude some Minoan sites per day to lighten the program and add city tours of other places of interest according to the needs of your party). 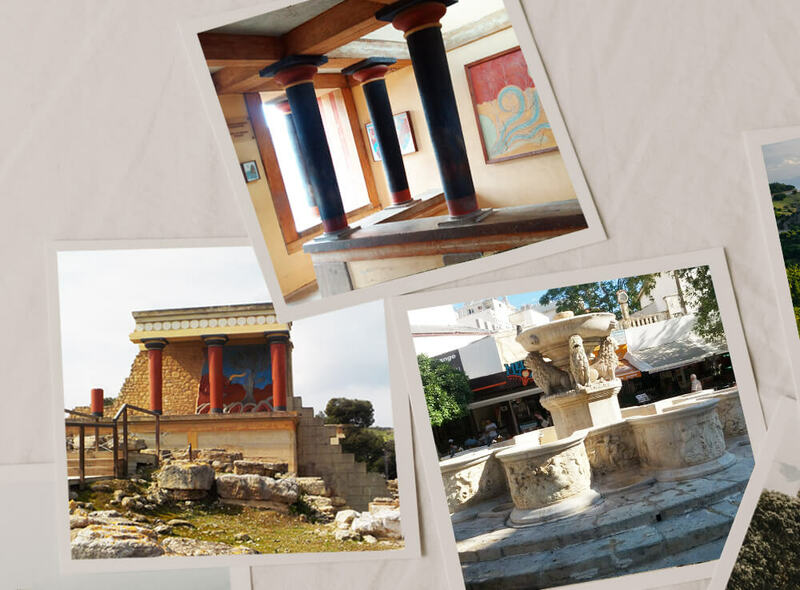 Visit of Knossos, Anemospilia, Vathypetro, lunch at Archanes and evening visit of the museum of Heraklion, overnight stay in Heraklion. The ‘temple’ of Anemospilia is located at the northern end of Mount Iuktas, overlooking modern Heraklion, with extensive views both to the east and the west. The site was excavated by J. Sakellarakis in 1979, and given its small size, turned out to be one of the most controversial excavations to have taken place in Crete. Vathypetro lies some five kilometres south of Archanes at the foot of the southern end of Mount luktas in Central Crete and was probably on the Minoan route from Knossos to the Messara plain in the south of the island. The site was excavated by S. Marinatos from 1949-53 and again in 1955-6. Since he intended to locate a local museum on the site the remains were reconstructed and modified, making it difficult for archaeologists to piece together the original structure of the buildings on the site. The Vathypetro complex was constructed around 1580 BCE at the beginning of the Late Minoan IA period and badly damaged around 1550 BCE, perhaps by an earthquake. The south sector of the building, which includes a wine press, was rebuilt as a farmhouse and industrial centre after the 1550 BCE destruction and was finally destroyed around 1470 BCE. 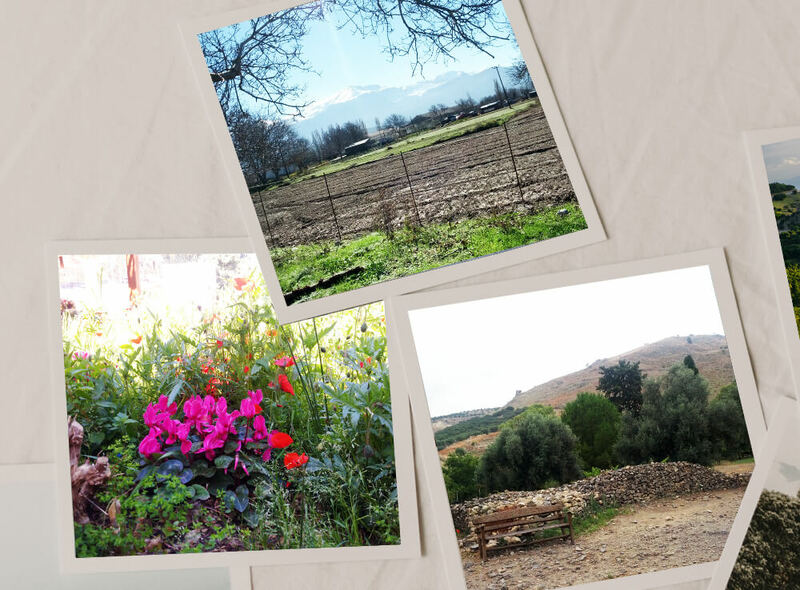 Drive to Messara, visit of Ayia Triada, Phaistos and Kommos. The Palace of Phaistos lies on the East end of Kastri hill at the end of the Mesara plain in Central Southern Crete. To the north lies Psiloritis, the highest mountain in Crete. On the slopes of Psiloritis is the Kamares cave, probably a religious or cult centre for Phaistos and the Mesara plain. In this cave a very fine pottery style was discovered from the Middle Minoan period, which has been named Kamares Ware after the cave in which it was found. Kamares ware has only been found at Palace sites like Phaistos and Knossos, suggesting that it was specially produced for whatever elite was based in the Palaces. A couple of kilometres to the west of Phaistos is the important Minoan site of Ayia Triadha. To the south of Phaistos are the Asterousia mountains beyond which lies the Libyan Sea. To the south west is Kommos, the ancient port of Phaistos and to the east, the vast Mesara plain, the single largest fertile area in Crete, which in Minoan times was populated with small settlements with their distinctive tholos tombs. The settlement is located in the north corner of the village of Tylisos (also Tylissos), south-west of Heraklion on the road to Anoyeia and Mount Psiloritis. Although the site of the Minoan town was known early in the 19th Century, it was finally excavated by Hadzidakis from 1909-1913. Further excavations were carried out by N. Platon in 1953-55 and by A. Kanta in 1971. The Minoan town occupied a large area and there are traces of houses from earlier periods (EM II to MM II) scattered throughout the site. Hadzidakis excavated only three of the main buildings and the two most important of these, Houses A and C, date from the very end of MM III (around 1600 BCE in the neopalatial period). They were destroyed by fire in LM IB (around 1450 BCE) when all the major sites in Crete apart from Knossos were either damaged, destroyed or abandoned. The site was later reoccupied early in LM IIIA. Zominthos (the name has pre-Greek origins) is situated 1187 metres above sea level on a small plain with plentiful supplies of water. In the 17th century BCE there was already an extensive settlement and a monumental neopalatial central building of 1600 square metres here. Beneath the northwest wing of the neopalatial building remains of a building from an earlier period were discovered. It is speculated that given the winter weather conditions at this height the building may not have been in use all year round but was used as seasonal accommodation during the summer months when flocks of sheep were taken to higher levels for grazing. The site was discovered in 1982 and Yiannis Sakellarakis began excavations over a limited area the following year. The first period of excavations lasted until 1990. After a gap of fourteen years it was decided in 2004 to continue. Yiannis Sakellarakis led the excavations up to his death in 2010. Excavations at the site are still ongoing. Visit of Malia, Zeus Cave and Lassithi plataeu. The Palace of Malia is situated on the North coast of Crete, East of Heraklion. To the south lie the Lasithi mountains. At 7,500 square metres, it is the third largest of the Minoan palaces. The Minoan name for the Palace is not known and it takes its name from a local town. It is now thought that the first monumental architecture to be erected on the Malia site dates back to EM IIB. An EM IIB building, or possibly a group of buildings, built around a large open space has been discovered below the present Palace, and aligned in the same way. Below this EM IIB building are the remains of EM IIA architecture built in a more simple style and based on a different orientation. In the view of Jan Driessen, the EM II building or buildings would not have been a Palace like the ones that emerged later but would have been more like a monumentalised court, the beginning of a process of bringing ritual in from the natural environment to a closed, artificially constructed environment. Already in the pre-palatial period the town had grown to occupy an area of 2.58 hectares, with remains of the town found beneath the Palace and to the north west. Some of the walls in the West magazines of the Palace had been constructed in EM II and incorporated into the new structures when the first palace was built, where they remained standing until the final destruction of the Palace. When these walls were first excavated, Vasiliki ware pottery (from EM II) was found in a foundation deposit. Drive to Agios Nikolaos for overnight stay. Drive to Sitia and visit of Gournia settlement, Petras Palace, continue for Zakros and visit of the palace. 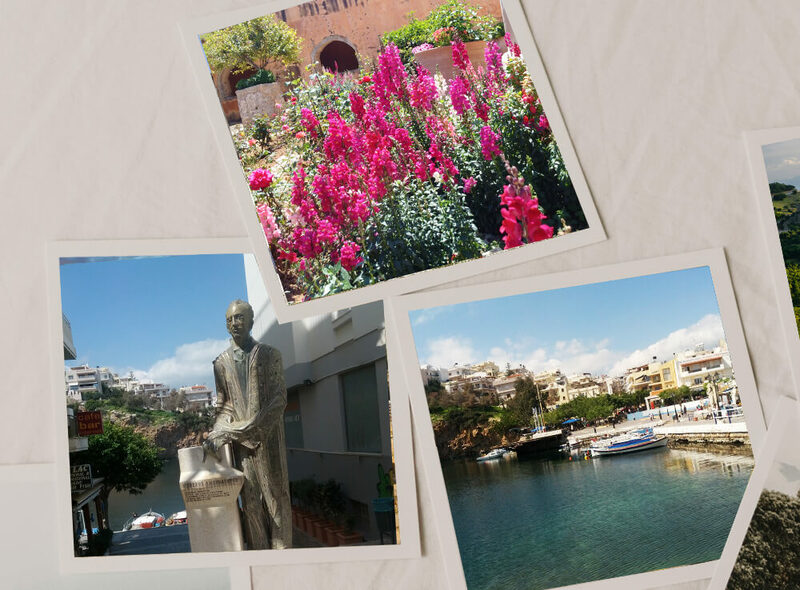 Return to Agios Nikolaos for overnight stay. The Late Minoan town of Gournia was excavated by Harriet Boyd in the first years of the 20th century. It is one of the few Minoan towns to have been fully excavated. The original name of the settlement is not known and its present name comes from the hollow vessels found all over the site, many of which can still be seen at the entrances to the rooms. Gournia lies on a small hill, a few hundred metres from the sea in the Gulf of Mirabello. Its position is important as it lies on the east to west route along the north coast of Crete but also near the main route in this area between the north and south coasts of Crete. This is the point where Crete is at its most narrow and the route from modern day Ierapetra in the south to the village of Pachyamos on the north coast, a few kilometres from Gournia, does not even cross mountains, making the route a very easy one to travel. It is thought that the town may have extended down, almost to the seashore, in an area bounded by a steep hill to the east (Sphoungaras) which was used as a cemetery and a river to the west. The Minoan site of Petras is situated a couple of kilometers east of the modern town of Siteia and it overlooks the sea from the top of a small plateau. The site has been excavated by Metaxia Tsipopoulou since 1985 and she has also been responsible for extensive work in the bay of Siteia whose aim has been to establish the Minoan settlement patterns in the area. 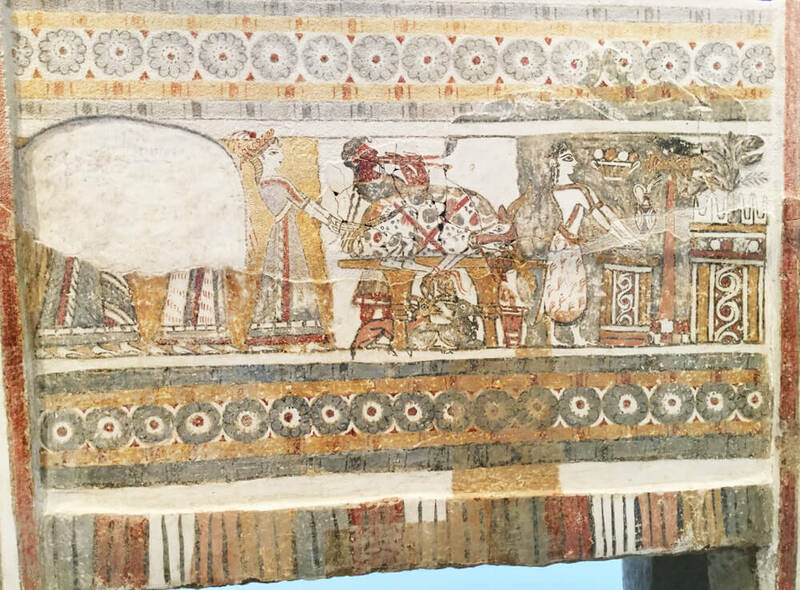 The Minoan township of Petras, with a central building of a palatial character, was almost certainly the main town in this part of northern Crete. The Minoan town was already large in the Early Minoan IIB period. The houses were built together in small groups, with plastered walls and red clay floors. The processing and weaving of wool seems to have taken place in the settlement as well as the production of obsidian blades. By the Early Minoan III/Middle Minoan IA period, at the end of the prepalatial period in Crete, larger buildings were being constructed on the hill where the later palace was to be built. The first evidence also began to emerge of elites forming and possibly competing with each other. Unfortunately the leveling of the site for the palace was so extensive that no evidence remains of buildings from the Middle Minoan I period, which saw the end of the prepalatial and the beginning of the protopalatial period on Crete so there is no way of knowing whether some large building with monumental architecture predated the first palace, which was constructed in MM IIA. The main complex is 2800 square meters in total area. The designation “palatial” is based on finds there which resemble the architectural features of the main Minoan palaces. The Palace of Zakros, the most isolated of all the Minoan Palaces, is located on the east coast of Crete, south of Palaikastro. Its position shelters it from the dangerously strong north winds that pass Cape Sidero on the northeast tip of Crete. It was the last of the major palaces to be discovered and is smaller than the other three at Knossos, Malia and Phaistos. The original excavations were begun by D.G. Howarth of the British School of Archaeology at Athens, and 12 houses in the town surrounding the Palace, whose existence remained unknown, were unearthed before the excavation was abandoned. Nikolaos Platon resumed the excavation in 1961 and was able to unearth a palace which had not been looted at the time of its destruction. The excavations have continued until the present day. The excavation represents one of the most important for Minoan archaeology since the Second World War, and the lateness of its discovery allowed it to be excavated using more modern and more scientific methods than those adopted in the excavation of the other Palaces some 60 years earlier. Tour Transfer from Agios Nikolaos to Chania. En route visit of Eleutherna archaeological site (Orthi Petra) and Museum, Armenoi cemetery and city tour of Rethymnon. 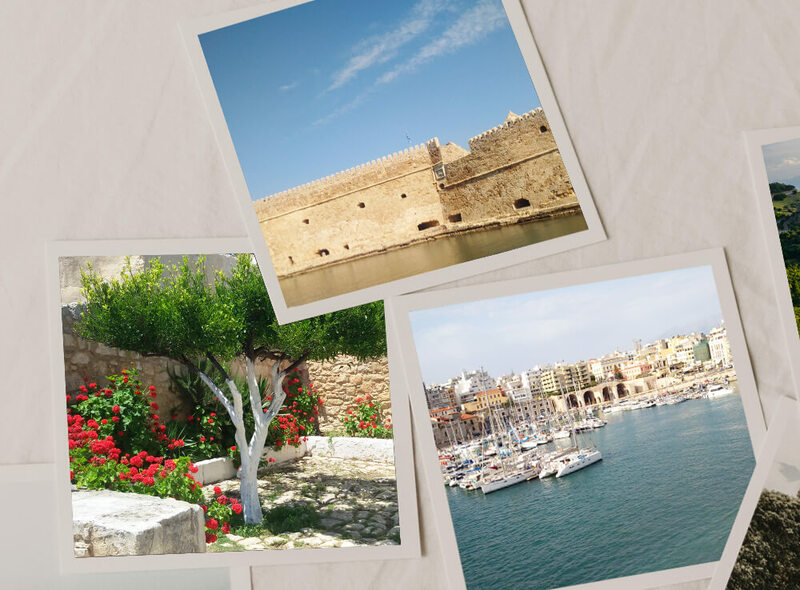 Chania city tour, visit of the archaeological museum (Minoan excavations and, extended city tour. Samaria Gorge – A day to relax and enjoy nature. Morning free and Departure transfer. Professional licensed guides/ archaeologists and driver.